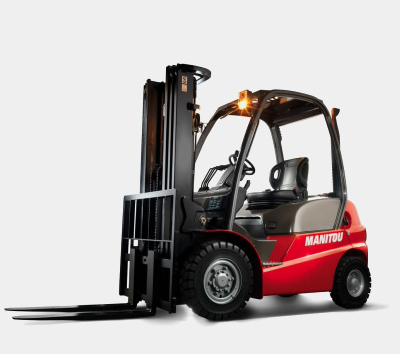 The new Manitou MI range of internal combustion industrial forklifts achieves high performance in any application, and was designed and tested by our global R&D teams to achieve optimised efficiency, high levels of safety and operator comfort. The result is the MI range of electric forklift trucks that are equipped with Powershift Transmission for optimal reliability and a guaranteed jerk-free approach. Our electric forklift trucks reliably lifts from 1 800 to 3 500 kg. 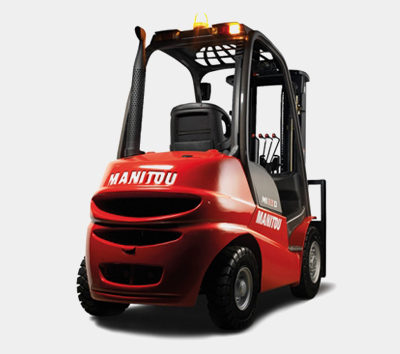 Manitou has taken decades of user experience and focused it into its ultra-modern forklift truck range. By doing this, we found that operator comfort plays an essential role in determining workers’ daily output. The Manitou forklift truck range features unique industry-firsts in ergonomics such as contoured seats with seatbelts, extra footwell space, advanced cab heating, and well-positioned mount and unmount handles.